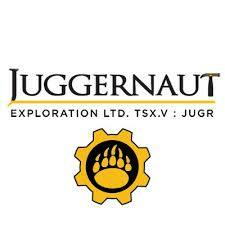 Juggernaut Exploration Ltd. (TSX-V: JUGR) (Frankfurt: 4JE) (OTC: JUGRF) is pleased to announce that its non-brokered private placement of $1,650,000 announced on November 27th, 2018 was increased and closed at $1,677,800 subject to acceptance by the TSX Venture Exchange. Due to strong demand from institutions and accredited investors alike in the Americas and Europe, management is arranging a second tranche financing with closing planned for December 13 of 2018, pending final acceptance by the Exchange. Upon final acceptance Juggernaut will be funded to meet its 2019 exploration commitments on Empire, Midas, DSM and J2 projects. The offering consisted of flow-through units at the price of $0.18 and non-flow-through units at the price of $0.16. Each FT Unit consists of one common share which is a “flow-through” share for Canadian income tax purposes and one half share purchase warrant (each half warrant a “$0.36 Warrant”). Two $0.36 half warrants entitle the holder to purchase one additional common share which is not a “flow-through” share at the price of $0.36 for 24 months after Closing. Each NFT Unit consists of one common share which is not a “flow-through” share and one share purchase warrant (each a “$0.32 Warrant”). Each $0.32 Warrant entitles the holder to purchase one additional common share which is not a “flow-through” share at the price of $0.32 for a period of 36 months after Closing. If at any time after four months after the date of completion of the offering the Company’s Shares have a closing price equal to or higher than $0.72 per Share for ten consecutive trading days on the TSX-V (as defined herein), the Company shall thereafter be entitled to give notice to the holders of all $0.36 Warrants, by news release, that such warrants will expire at 4:30 p.m. (Toronto time) on that date which is 30 days after the date of such news release unless exercised before the expiry of that period. If at any time after four months after the date of completion of the offering the Company’s Shares have a closing price equal to or higher than $0.80 per Share for ten (10) consecutive trading days on the TSX-V (as defined herein), the Company shall thereafter be entitled to give notice to the holders of all $0.32 Warrants, by news release, that such warrants will expire at 4:30 p.m. (Toronto time) on that date which is 30 days after the date of such news release unless exercised before the expiry of that period. The completed financing consisted of 3,479,375 in non-flow-through units for gross proceeds of $556,700 and 6,228,333 of the flow-through units for gross proceeds of $1,121,100. The Company will pay finder’s fees equal to 5% of the gross proceeds from a portion of the financing in cash, and 5% finder’s warrants equal to the number of units sold in accordance with the policies of the Exchange. Subject to acceptance by the Exchange, the Company will pay a total of $68,240 in finders’ fees, 76,157 and 300,417 in finders’ warrants in relation to the non flow-through and flow-through units sold respectively. These warrants are priced and have the same terms as the warrants attached to the respective units sold. All shares issued pursuant to the offering and any shares issued pursuant to the exercise of warrants (including warrants issued to finders) will be subject to a four-month hold period from the closing date.